Let's check out sport games today! 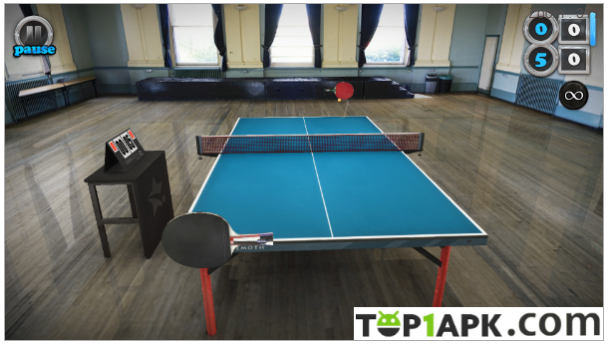 If you're a great fan of table tennis, you'll love playing Table Tennis Touch. The game has impressive graphics, very intuitive controls, high-speed gameplay and attractive multiplayer game modes. Coming from the young developer Yukato, Table Tennis Touch is really a game with beautiful graphics in a surprising and subtle way. The plus point from this first impression will surely attract even those who have no interest in playing table tennis. 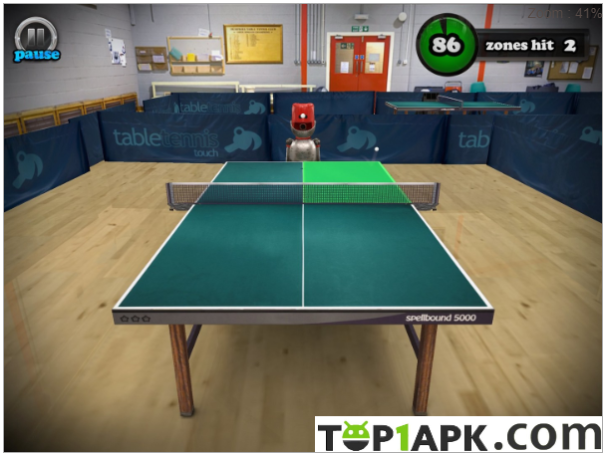 Like many other sports game, Table Tennis Touch starts the game with a familiar gameplay instruction; however, the developer cleverly adds “WiffWaff” robot as a companion for the player who gives basic advice for those who first visit the game. When entering the game, WiffWaff will gradually fade into the background behind. At this time, the screen only shows two rackets. This is to remove the unimportant details and help players focus on playing. The game's control mechanism is extremely simple and easy to get used to. Players only need to use one finger to move the racquet back and forth on the ball table. However, the easy way to make the kicks does not mean that you will hit the ball. The physical mechanism in the simulation game is almost perfect compared to reality. A strong shot will make the ball fly out, but if it is not strong enough, it can’t cross the net. You will start your career with a very old racket, then work hard in the warehouse. The difficulty increases gradually, and your skills thereby will be upgraded significantly thanks to career mode, arcade mode, and quick match. It is often said that Golf is only for the wealthy people. 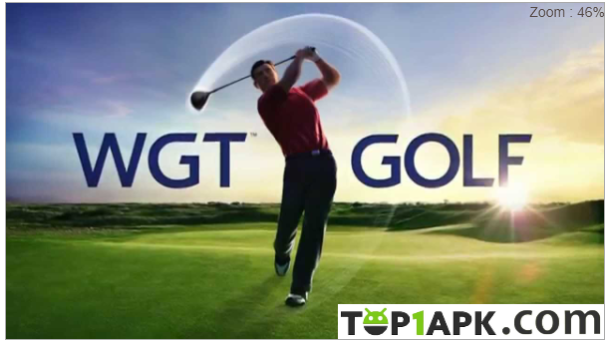 However, even you don’t have chances to play it regularly in real life, you can still practice via WGT Golf - an online sports game for Android devices. This sport game is one of the most famous sports games for those who love playing golf. With its great graphics, it brings a completely exciting experience. Players can participate in full 18 or 9-hole mode. Playing on your own or combating with your friends is up to you. With realistic graphics to every details, WGT will take you into the world's most famous golf courses like Bandon Dunes, Bethpage Black, Celtic Manor, Congressional Country Club, Kiawah Island, etc. Massive stores with all the most modern, constantly-updated equipment will help you have the most authentic experience with this sport. You can download this game without paying any costs. However, it will contain advertisements. If you find ads annoying, so just upgrade to Premium version. In the end, don’t forget to download both games at the Google Play store at no cost. For more Sport game Play online, please visit our store - Top1apk. Hi Thomas, of course protecting your apps and files cannot be done without some resource consumption. But we continuously work on keeping the app as small and light as possible. Please give it a try, I believe your device is efficient enough to handle it.